strict warning: Declaration of views_plugin_style_default::options() should be compatible with views_object::options() in /home/rosa/public_html/sites/all/modules/views/plugins/views_plugin_style_default.inc on line 24. Savary Island is a beautiful Northern Gulf Island located just north of Powell River on the Sunshine Coast of British Columbia, Canada. 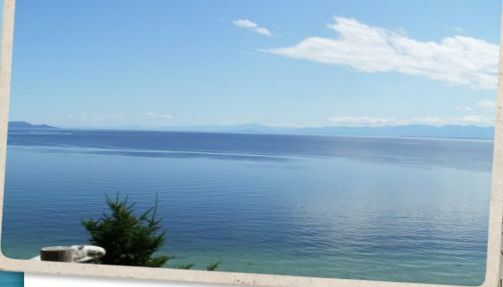 Savary Island is 7.5 KM long and 1 KM wide at the widest point. The Island is known as BC’s “tropical island” because it is ringed with sandy beaches and blessed with the warmest water on the West Coast of BC. Locals will tell you that the south side of Savary Island has the best sandy beaches and the warmest water for swimming because of the extreme tides. The north side of Savary Island has sandy beaches with sea shells, beach glass, seafood and glorious sunsets. Whether your perfect day at the beach includes action-packed adventures like snorkelling, kayaking, skim boarding or swimming, beachcombing for seashells and beach glass or just basking in the sun – the beaches surrounding Savary Island are an ideal escape for all. There are kilometers of hiking and biking trails which wind through the dense forest in the center of the Island. Savary Island has lots of birds and no bugs! Savary Island is truly a birders paradise with a wide variety of sea birds, shore birds, bald eagles, hummingbirds and more. There are no large predators on the Island so hiking and exploring is fun and stress free. There are also very few mosquitos! Savary Island is not serviced by BC Hydro. Our vacation rental cottage gets electric power from solar panels, deep cell batteries and an inverter that allows for lights and electrical outlets, plumbing and a phone line. Full amenities are provided but we ask that you use water sparingly. The warm crystal clear water surrounding this Northern Gulf Island makes it ideal for swimming, boating, scuba diving, and fishing. The low tides in the summer months flush over the sundrenched white sand, resulting in some of the warmest swimming waters in the region.